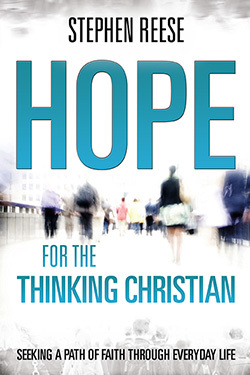 Hope for the Thinking Christian is for anyone who has yearned for meaning, for a faith that nourishes and sustains us through times of loss and fear, for a faith that brings greater joy: in short, for the abundant life. It is for anyone who has wrestled with how to experience God more fully and to understand what God expects from us within an intellectually honest faith. This book is a faith journey through everyday life, confronting the challenge of staying spiritually intentional in a demanding world. Readers who want to confront their faith more directly, to think it through and be open to God in an individual, authentic, spiritual encounter will find a resonant voice in Stephen Reese. Stephen D. Reese is the Jesse H. Jones professor at the University of Texas at Austin in the School of Journalism, where he was once director and now serves as associate dean in the College of Communication. His PhD is from the University of Wisconsin. He grew up in Knoxville, Tennessee, but now lives with his wife, a public school teacher for the gifted and talented, in Austin, where they raised two sons. He has published widely in the social science analysis of the news media and their effects on political life, and has lectured internationally at universities in Asia, Latin America, and Europe. He is a member of Oak Hill United Methodist Church in Austin, where he has been active in the Emmaus community, Methodist Men, and the Stephen Ministers program. 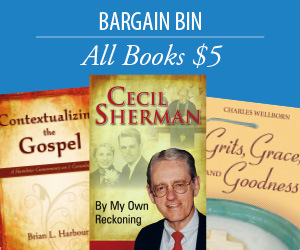 Steve Reese has given us a wise and heartfelt book, a thinking person's guide to matters spiritual that will strike a chord with thoughtful readers regardless of background or tradition. The writing has a wonderful humanity to it. Not many books on personal faith come out of the universities these days, but readers will be pleased, as I am, that the author decided to forget that tradition and give us this delightful and fulfilling volume.